The truth was- We had always been intrigued by Himalayas, the treks - always considered it impossible for us; that we were too civilized to take up the challenge. We chanced upon a website by Indiahikes and the different treks they were organizing throughout the year. 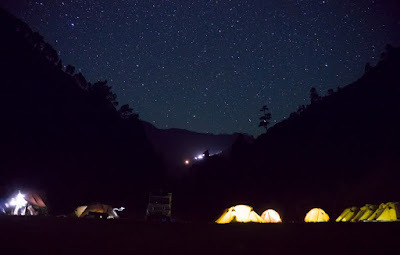 While scrolling through the website our eyes fell on a line written about one trek specially- Rupin Pass. 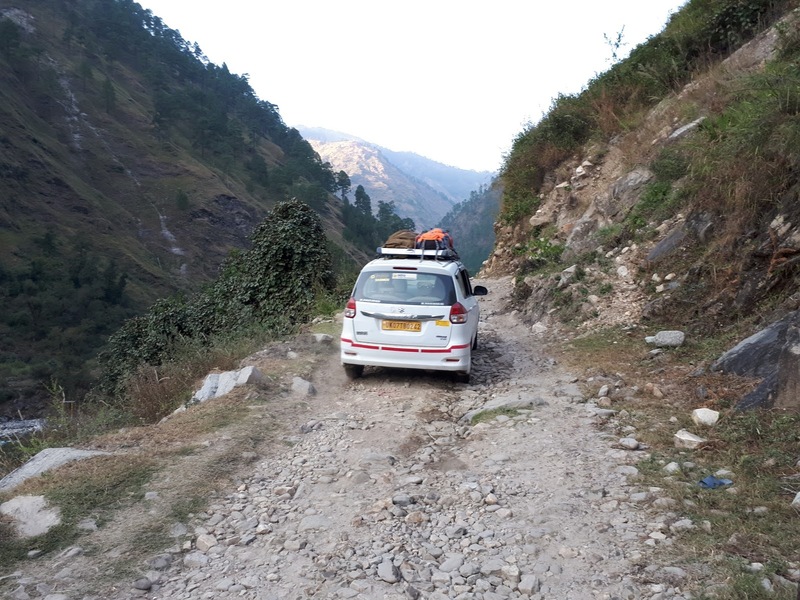 It read 'This trek is like an orchestra, building up momentum with surprises in scenery every hour or so'. Something inside us suddenly ticked and we knew we had to go. 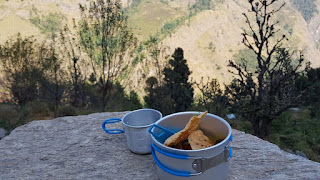 Imagine the surprise when we started receiving mails from Indiahikes - The amount of fitness required, the altitude sickness problems, the daily walking, stories of trekkers who took it very easy, etc. As first time trekkers , what had we got ourselves into !!!! However, the money was paid, the news of us undertaking a trek spread like wildfire on our comfort loving family and now it was a matter of self pride for me and my wife. We had taken up the trek for the month of November, supposedly when there is least possibility of rains. The journey commences from Dehradun (Delhi connectivity) and ends at Shimla. For the trek to commence, one needs to reach Dehradun from where jeeps take you for a 10 hour journey through curvy mountains to base camp site of Dhaula. The transport in our case was organized by Indiahikes team. 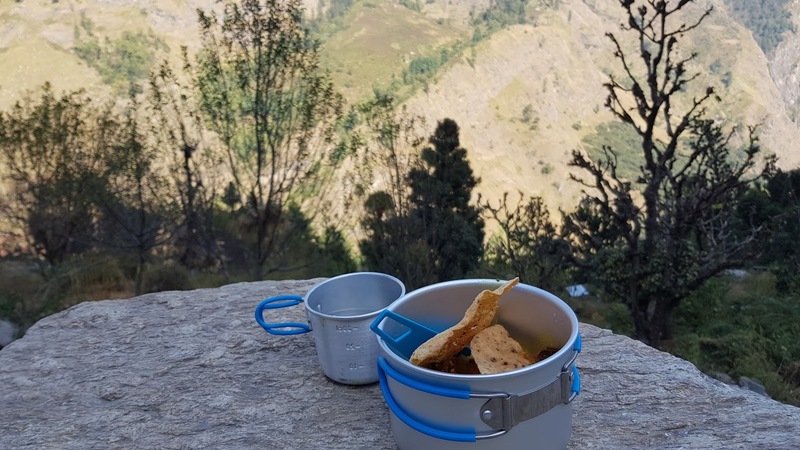 The trek moves along the course of Rupin River in the picturesque Rupin Valley right up to its source in the glaciers near the Rupin Pass in Himachal Pradesh. Reached Dehradun railway station, the decided starting point for vehicles. Vehicles parked right outside the station. 'Good, am on time. One website said punctuality is first indication of great trekker. I must be great' I thought. Met with my fellow trekkers but the trek leader was no where visible. Saw a teenager in his early 20's with a huge trekking bag 'Haa !! Ignorant fool, does not know how to pack stuff' I chuckled a bit thinking about his plight. 'By the way my name is Himanshu, your trek leader' he continued. We adjusted ourselves in one of the transport vehicles arranged by Indiahikes and we were off. (A word of caution...never ever take Suzuki Ertiga on windy paths unless you have super strong stomach). Dense pine forests with the Rupin assisting us along the ride provided the perfect setting for the start of this unforgettable journey. We finally reached our base location at about 4 PM and adjusted ourselves in respective tents. An early night sleep to ensure we all were in best of shapes for the commencement of trek. The day of the rude awakening !!!! We got up early by 5.30 AM and proceeded to complete our 'chores'. After learning of Green Initiative run by Indiahikes (they provide pouches to collect plastic along the way...pretty neat effort) and explaining on how tents and sleeping bags are packed, we were on our way. And we walked. We climbed. We panted. Worlds first drone maybe ? The day ends at Sewa village. The accommodation was at a wooden guest house with all men in one room and women in other. It is said the ghost has been heard almost by everyone and seen by few, but is harmless. 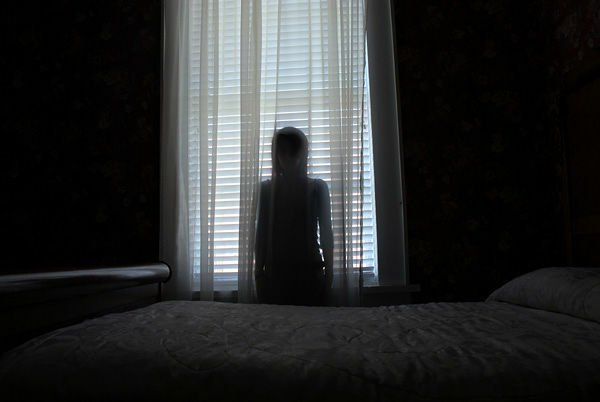 It is said to be of former resident of the place who expresses discomfort of new people at the residence. Aaaahh my Aching body !!! All the arrogance of working out for 4 months was now down the drain. Each and every part of body which was used during the hike on second day was screaming in pain. The village of Sewa has a temple which is adorned with trophies and medals. These trophies are dedicated to god by villagers for blessings to win at their respective goals.This temple marks as a starting point for the day trek. However, the temple doors were closed on our day of vist. On asking the villagers they said that the idol was common to the 12 surrounding villages and the idol moves to each village each month. Lizards Lizards Lizards on temple door !!!! The trek commences trough the village and immediately after some time the rivers begin gretting you along the way. From Sewa onward, we filled up bottles of water directly from river itself. The day gives you an opportunity to cross the state border on foot. 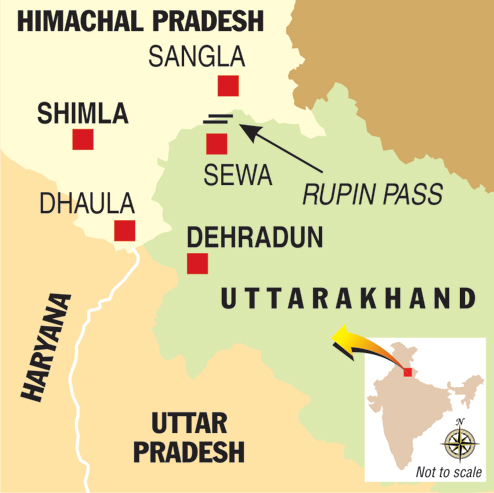 The bridge below connects Uttarakhand to Himachal Pradesh. How many times in your life do you get to brag of crossing state borders on feet !!! After approximately 6 hours of walking, the village of Jiskun appears on the horizon. This is the last location of staying in wooden house post which all the stays will be in tents. The day we walked and walked and walked !!! This is probably one of the most difficult days on the trek. The amount of gradual incline and sudden declines along with the distance to walk makes it one of the tiring days during the trek. The day ended with us completely exhausted. The weather had also started to get cooler and we could feel the need for additional layers of clothes at night . We tucked ourselves into our warm sleeping bags happy about the sights that the magnificent valley had shown us; unaware of the fact that the real beauty of the trek will unfold in next few days. It is at Udaknal that the real cold starts to set in. The temperature drops at night and mornings are chilly. Little did we know it was just the start of much more cooler days. It on from this day that the real beauty of Rupin Pass trek becomes strikingly visible. The landscape changes every hour and you truly begin to appreciate nature in all its glory. The few glimpse of unexpected snow made us super happy as we had not expected any on this trek. However, it was time for weather gods to enhance the beauty of this valley...and it began to snow at night. Waking up to this !! Nature had decided to bless us with some of the grandest views the valley had to offer. And to top it up, this was an acclimatization day meaning we could relax and enjoy the beauty for the complete day!!!! 3 Hours of climb and a photographers paradise!!!! The snowfall from previous day had frozen part of the waterfall. Ice had formed over the flowing water, hence crossing the waterfall was bit extra tricky. A slip and slide could result in person plunging down the waterfall into the valley blow. Luckily for us, we had the best of the team from Indiaikes who ensured our utmost safety and guided us to the other side safely. Emotions, pride, satisfaction, amazement !!! A day which will be ingrained in our minds and hearts so long as we are on our beloved planet Earth. Crossing the Rupin Pass was a process which had been initiated 5 months ago- right from registration, to daily exercise and healthy diet. It was an emotional moment for many and we could not control our tears. The valley too greeted us with one of its best views, as if congratulating us and warmly hugging us from coming all the way up to meet her. Finally at the top !!! Is this Australian grasslands ? Day 9: Ronti Gad (13,100 ft) to Sangla (8,600 ft) Via Sangla Kanda (11,427 ft); Approximately 6 hours. End of the trek but memories remain. 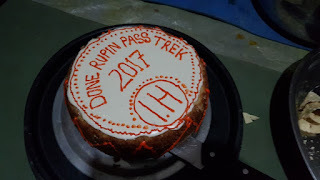 The day is a mixed bag of emotions- while there is sense of relief of completing the trek, there was also a sense of sadness knowing that we will rarely get a chance to meet most of the 13 people in our trek group who felt like family now. Finally.... Kudos to the Indiahikes Team !! !